There's nothing like concealer to dramatically transform your skin tone. Concealer can cover up under-eye circles and those annoying blue veins that pop up under the eyes when tired. It also works like an eraser on red spots, seemingly wiping them off your face. 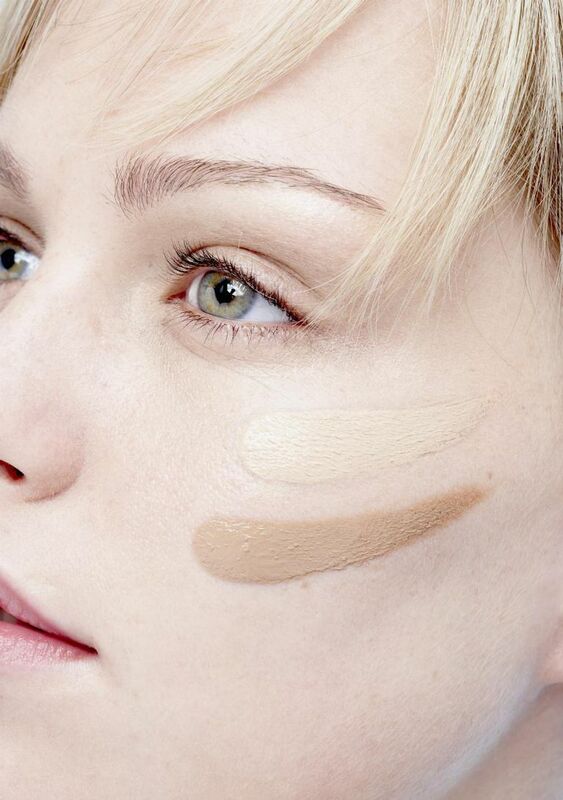 So how to pick the right shade of concealer? We've done the research and here are the answers. You want your foundation to match your skin tone perfectly. You want your concealer to be just a shade or two lighter than your skin, according to makeup expert Bobbi Brown in her book, Living Beauty (buy it from Amazon). The exception is when you are covering pimples. It's best to use a concealer that matches your skin exactly when it comes to covering pimples. This is because you want to apply the concealer AFTER the foundation and you don't want that spot to stand out. Most women need a yellow-based, not pink-based concealer because it flatters all skin types. The exception is dark or black skin, which will look better in orange-based concealers. Under-eye concealer is best for camouflaging the shadowy circles under the eyes. You want a light-reflective concealer here. This concealer won't work on redness or blemishes. We recommend Bobbi Brown Creamy Concealer, buy from Amazon.com and Clinique Airbrush Concealer, buy from Amazon. Correctors work to cover up extremely dark under-eye circles. Peach tones and pink tones work best to counteract the dark colors. We like Laura Mercier Secret Camouflage, buy from Amazon. Yellow-toned concealer that matches your skin tone exactly is best for covering up blemishes, tattoos, etc. Body concealer is great for covering up veins on the legs. Dermablend Cover Creme is a good option. ​buy it from Amazon. Concealer is a definite "try before you buy" product. It's not recommended to purchase any product that's non-returnable. Instead, try out different concealers at department store counters or Sephora. Test color on the area of your neck below your ear. Again, the color should be slightly lighter than your foundation. If you go too light, you risk looking like a raccoon. Just like with foundation, you may need a lighter concealer shade in winter than you would in summer. If you are covering up blue veins or under-eye circles, test the consistency of a concealer by dabbing it on the blue veins on the inside of your wrist. If it covers it up, you've found a winner. Now that you've found the perfect concealer, make sure you're applying it properly. The best tips and advice can be found in How to Properly Apply Concealer.